England’s conservation advisor is no longer independent from government, its outgoing chair told MPs on Wednesday. The admission comes as Theresa May’s government is pushing a Brexit deal that includes proposals for a new environmental regulator that could have the power to take the government to court. Under questioning in parliament, Natural England chair Andrew Sells revealed that the agency’s financial, press, communications and HR functions are now under the control of Michael Gove’s department for the environment, food and rural affairs (DEFRA). 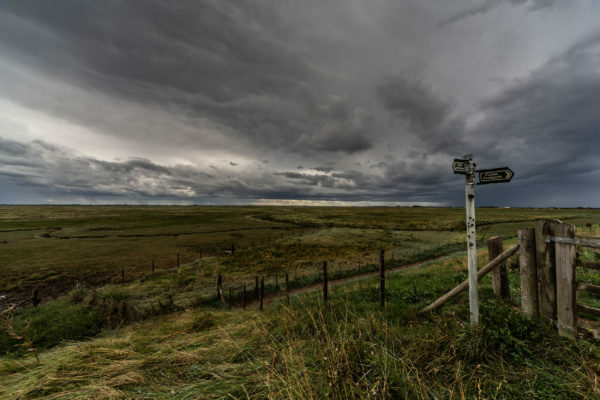 Sells suggested that as a result Natural England’s ability to fulfill its legal duties is being sidelined under pressure to deliver on DEFRA’s priorities. The agency is responsible for monitoring and conserving protected sites, advising on planning proposals and issuing wildlife licences. “The difficulty is that all of our money effectively comes from DEFRA,” Sells told MPs. “There is an inherent contradiction there. They want us to deliver their priorities. We say we have 500 statutory duties and responsibilities. We want to deliver those,” he said. In September, Unearthed revealed a leaked internal plan from Natural England that warned that the body is too stretched to prevent further extinctions and is no longer working towards a government target to conserve the country’s top wildlife sites. Around the same time, data emerged in a parliamentary question by Caroline Lucas showing that almost half of these sites of special scientific interest (SSSI) have not been monitored in the last six years. DEFRA told Unearthed that Natural England’s independence is “essential” for the work it does on environmental protection. Asked about the advice he would give his successor, Sells highlighted “never letting go of your independence…..but having said that is not one of my achievements”. Sells’ stark interview in parliament comes at a time of rapid re-organisation at Natural England. He is set to leave his position as chair at the end of the year, a year earlier than planned. It follows the sudden resignation of the CEO James Cross a few weeks ago, which Sells said was “not ideal”. Meanwhile at least 50 Natural England staff have been moved over to DEFRA to work on Brexit. Sells added that a further 63 are working on Brexit from within the watchdog and that 20 more may also be affected. He said “of course” this has had an impact on Natural England and that those moved include senior, very experienced people who are “some of the very best”. “The staff are very hardworking, frankly overworked, underpaid and many of them are stressed and have been through endless re-organisations and uncertainty,” he said. None of the people working on Brexit at DEFRA would have the expertise his staff have, but the agency is not reluctant to help, he added. Even so, Sells said that the “single biggest recurring challenge” under his tenure has been the sharp budget cuts implemented at the body. Its budget has been almost halved in the last ten years, with the funding for monitoring of SSSI sites down 55% in the last five, he said. And this year’s budget was cut by £6m – after the financial year had already started. “It’s very hard to run an organisation with that destablising pressure,” he said. Sells told MPs that the long-term financial strain at Natural England has the driven the movement of key functions to DEFRA. “Running Natural England now is a very different thing to running it five years ago,” he said. “What I think started as cost savings has run over into something which feels more like less freedom, frankly….I think the pendulum quite frankly needs to swing back”. Sells said that he now has to request financial information from DEFRA, and that “when an inquiry comes into DEFRA, they start to draft a reply and put their interpretation on it”. He also said that he had been concerned about a conflict of interest in accepting a position on the board of DEFRA but that he had done so because he felt under pressure, after being told that David Cameron wanted him to be. His concerns about a conflict had not materialised, he said, because the board rarely dealt with Natural England issues. Employees with concerns now have to go to HR representatives in DEFRA. While he said that he believed DEFRA would deal with concerns appropriately, he added that “in employment law this is not very clever”. Sells also highlighted a couple of areas of work at Natural England that he was unhappy with. He thought there should be tougher penalties for wildlife crime. “I think that is an area where we as a society we haven’t been very good. The problem is obtaining the evidence. Once you have obtained the evidence the penalties are very light,” he said. He thought that magistrates or Natural England should have the power to withhold gun licenses used for vermin control on estates. But he stressed that this was his personal opinion, as the matter had not been discussed by Natural England’s board. Hunting convictions are now at a historic low, the Guardian reported two weeks ago. 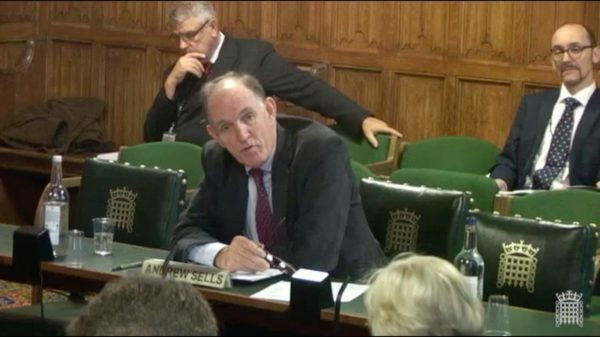 Sells was also very critical of the government’s Countryside Stewardship Scheme, which provides funding for farmers to do work to protect the environment. It’s set to be replaced after Brexit. Farmers have faced significant delays in receiving payments. “Our advisors found it was incredibly inefficient,” he said.